Which Honda is in your garage? Is it a "sized-right for parking in the city" CR-Z, a Ridgeline pick-up that can haul almost anything you can think of, or any one of the 10 other models the company offers? If you see drops of transmission fluid under your car or can feel the transmission starting to slip, you need do do something about it right away! 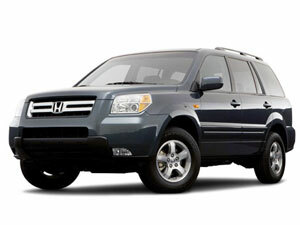 Your Honda was designed to give you many years of trouble-free, fuel-efficient service. Transmission problems don't go away, they get worse over time. What might be a minor repair today, could become a major, costly job a few thousand miles down the road. When you come to our shop, we'll do a test drive absolutely free to give us a head start on what the problem might be. We've been repairing transmissions since 1965 and we've worked on plenty of Hondas, so you can be confident that we know what we're doing. We're A1 Transmission Service Center, and we understand that to you this isn't just another car. You thought carefully about which brand and which model to buy. Once we get your Honda on the lift, we will know exactly which parts can be adjusted and which ones need to be replaced. Years of hands-on experience and the latest diagnostic technology is a combination that can't be beaten. No matter which Honda you drive, bring it in and we'll diagnose the issue and have you out the door at a price that'll be kind to your wallet!